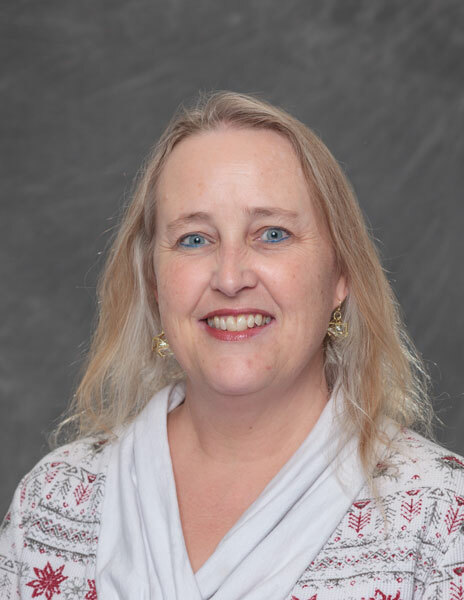 Southern Utah University Psychology Professor Lynn White recently published her first book, Statistics Straight Up: The Essential Guide to Understanding and Using Statistics. In addition to teaching a variety of psychology courses, White is also the director of the department’s Behavioral Neuroscience Lab. Professor White previously self-published an earlier version of this book, originally titled Statistics for Psychology: A Survival Guide. Thanks to the encouragement of her students, she found publisher Linus Learning, and took about 18 months to write and revise before publishing at last. The book focuses on the importance of knowing how to use statistics as a tool for understanding data, rather than stressing hand calculations, theorems, and derivation formulas. White described how she wrote with a casual, storybook approach using characters like Winnie the Pooh and Tom and Jerry to illustrate concepts. Currently, Statistics in Psychology is utilizing the textbook for the class (PSY 3010) and lab (PSY 3015). It is also a recommended text for Research Design (PSY 3410) and Independent Research I (PSY 4930). Lynn White has a Ph.D. in Physiological and Comparative Psychology. She attended Bishop's University and McGill University, and has been teaching at SUU since Fall 1997. SUU’s psychology program offers an academic major and minor. Students majoring in psychology may choose a research-focused course of study or the clinical/counseling focused option. Psychology professors are deeply involved in helping students choose courses that support their career goals and form strong mentoring relationships with students in classes. Learn more about SUU’s psychology program.